A catalyst for positive change! 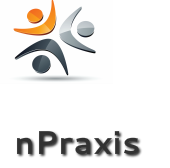 nPraxis International emerged in 2010 as a “new generation” of mission agency. It was created for the purpose of empowering indigenous leaders among unreached people groups. We serve as an umbrella agency for connecting a large network of local initiatives across more than 50 countries. Our team is deeply committed to the Mission of God among people groups who have been resistant to traditional forms of evangelism and who wish to follow Jesus within their local communities. Assist emerging groups to develop a non-hierarchical organizational structure with a focus on “training of trainers." At present, we support 330 full time trainers. We exist to support and nurture self-propagating, self-sustainable, and self-governing discipleship movements toward Jesus among unreached people groups and among remote animist tribal groups. nPraxis is a not-for-profit 501(c)3 charitable organization operating under the laws of the State of Tennessee, USA. Our desire is to operate in a transparent and accountable manner. Toward that end, nPraxis has independent accounting and auditing services.